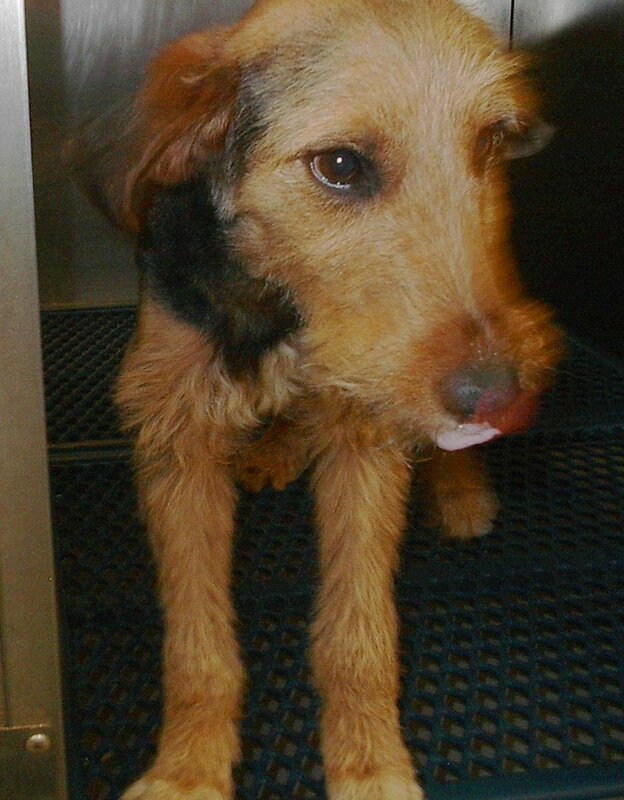 Cashew is a bouncy, puppy and pure happy one year old Airedale. More shy, she desires a home where the family will support and coach her into being a good family dog. She is 45lbs. Cashew is currently in foster care in Tennessee learning how to be with people and other dogs. She has great manners and easily trainable. She knows the routines of the kennel operations. She LOVEs to play with people and dogs and is sweet sweet sweet and cute cute cute.